Here's my take on a professional look... with a twist of course!. 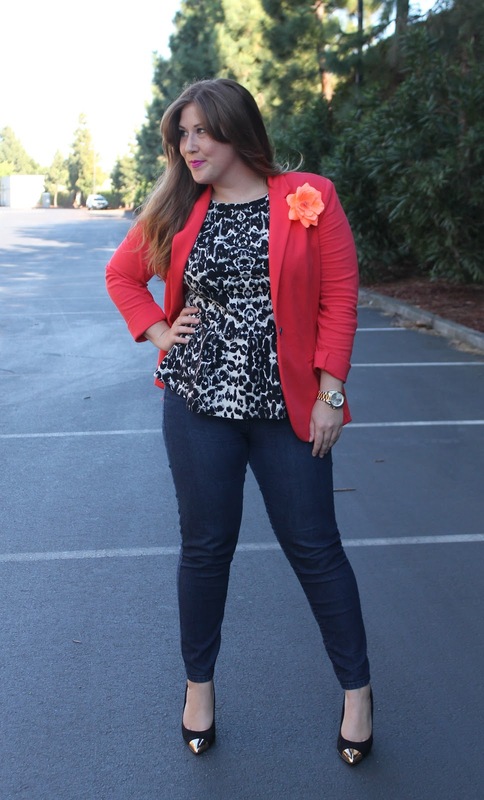 I am pretty obsessed with this peplum top and paired with the bright blazer and cap-toe pumps makes for an easy breezy week day look. Also, I have been trying my hand on the center part with my hair. I kind of like it for summer because it gives off that more beachy laid back look--what do you guys think of the center part? Lastly, myself and nine other ladies gave our fashion blogging tips over on my dear friend, Mollie's blog- go check it out! Gorgeous! your skin looks flawless ! Great outfit!! Love those heels! Love that blazer - it's the perfect colour for you! 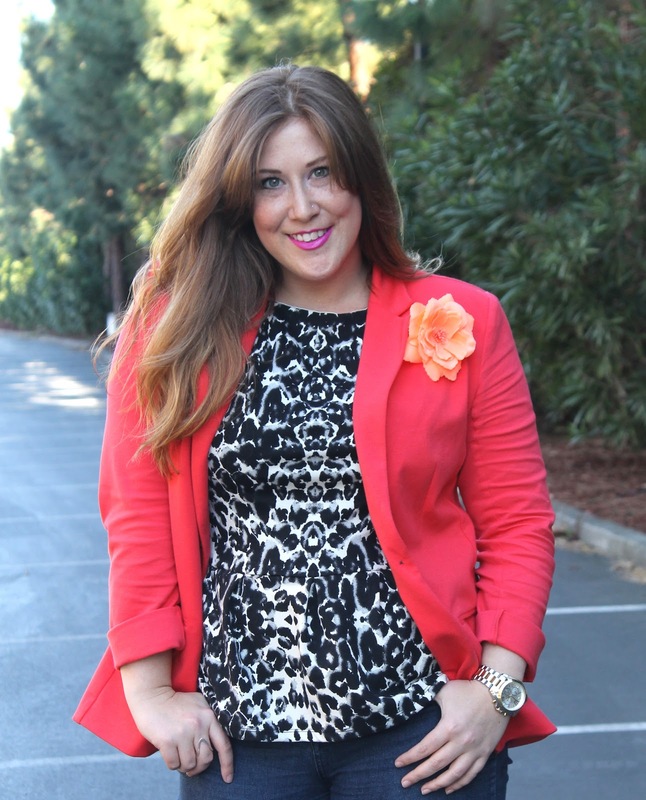 I love the bold black and white pattern mixed with a bright blazer. 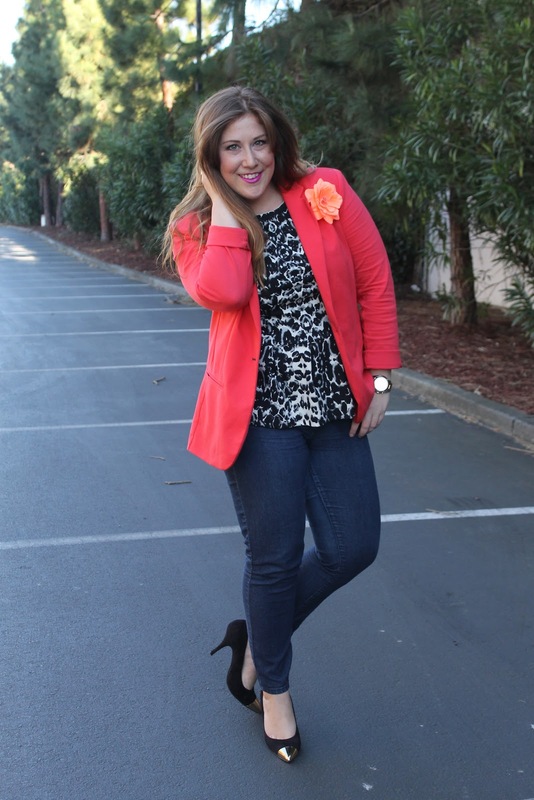 The color of the blazer is perfect for spring/summer! Love it! I am obsessed with your hair, and the peplum is perfect on you! Lerve those shoes so much! Miss your face! Can you please come back to DC? Kthanksbye. This outfit is great! 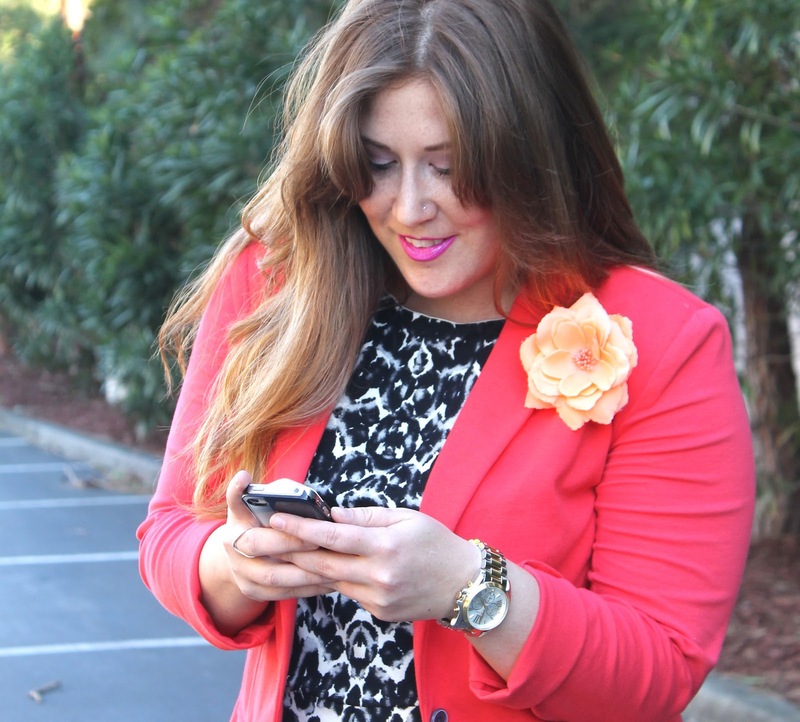 I love the bright blazer! Great outfit, Amanda. LOVE the cap toe pumps, and the blazer is such a great color.